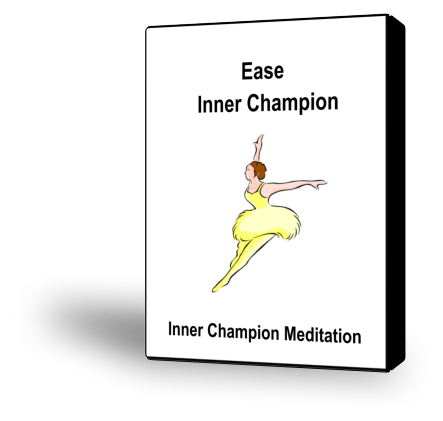 Your Ease Inner Champion supports you in developing the Ease capacity and activating it in your life when needed. This guided meditation will help you evoke your Ease Inner Champion. Ease involves accomplishing tasks in a relaxed, easy way, without undue stress or striving. Your work flows naturally, and you don’t need to aim for high achievement or perfection. You are able to recognize when something is “good enough” to be complete. You balance your work with the rest of your life. With the Ease Capacity, you are able to take breaks when you need them, instead of driving yourself relentlessly. You accomplish what needs to be done without excessive strain. Your work flows from your natural interest, creativity, sense of purpose, and desire to help people and contribute to the world. You are engaged in the process of your work, not just oriented toward its outcome.